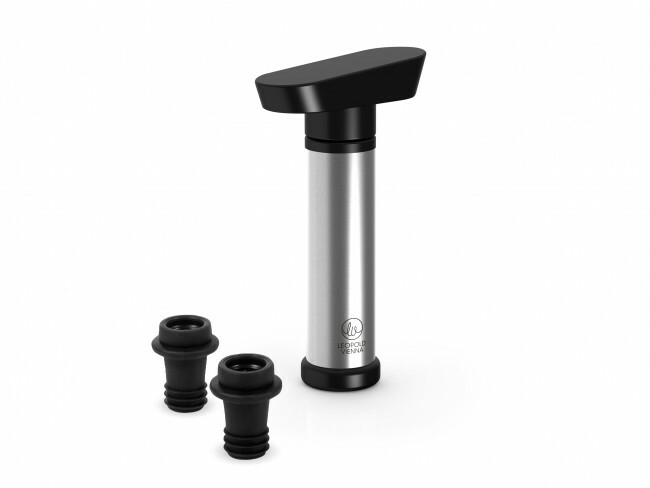 Wine stoppers with Martello wine pump. Wine pump with two spare stoppers. Hermetically seals bottles.